Groundwater is coming off of a record breaking 2015 and we are so excited to tackle 2016! We are looking forward to so many things this year; the arrival of our brand new rig, the expansion of our field staff and office staff, anniversaries, new customers, solving difficult problems and overall expanding and improving Groundwater! While it’s fun to look forward to all the things a new year can bring we want to remember our past as well. Ron Sr & Ron Jr started Groundwater back in 1990 with the philosophy of applying the best methods tempered with sound profession judgement. 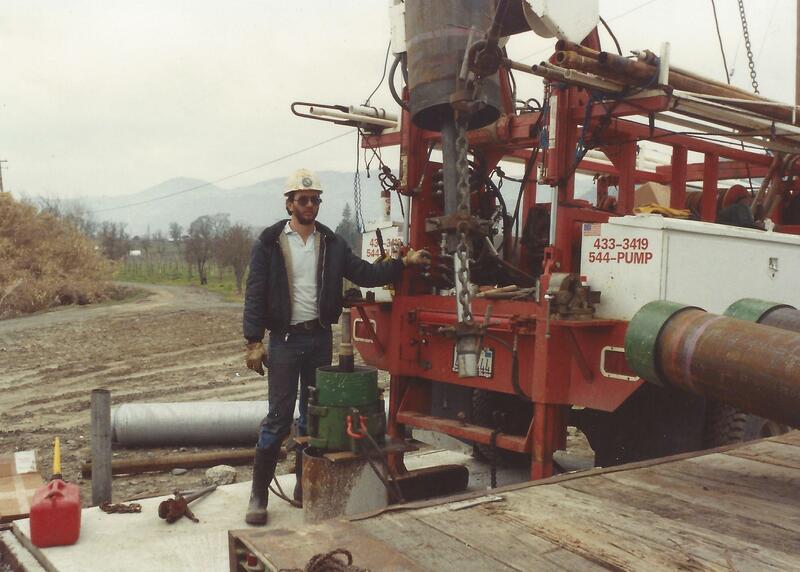 With well over 50 years under his belt and experience from many corners of the world Ron Sr wanted to start a pump company that could offer its customers innovative solutions to difficult problems. Water wells & water systems are not all the same and therefor the solutions to their problems shouldn’t be ones size fits all, this is a key fact that Groundwater not only acknowledges but celebrates! So along with his wife, Toni, and his son, Ron Jr, Ron Sr set out to create a pump company that was family driven, innovative & above all customer oriented. In the early days of Groundwater Ron Jr spent his time in the field. Over the years Groundwater has grown, expanded not only in size but in knowledge as well. 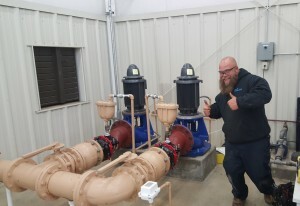 Currently we provide a multitude of services for our customers, everything from drilling supervision, domestic & municipal pump systems, water treatment & water filtration, irrigation systems, fire protections systems, storage tank installations & water well rehabilitation just to name a few. Most importantly Groundwater is still a family business at heart, our decisions and choices are guided by the principals of providing quality work for our customers and a quality work place for our employees. Stay tuned exciting things are happening at Groundwater and we want to share them with you!